There are a lot of motorcycles leaving the factory floors at Mattighofen but hardly any are as exclusive as this. 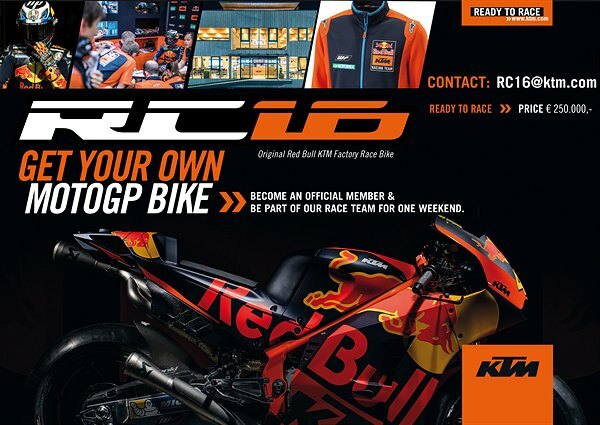 KTM are thrilled to be able to offer two of our MotoGP KTM RC16 race bikes for private purchase. This pure track weapon was sculpted and created over a two-year period up until the motorcycle’s wildcard MotoGP debut at Valencia in 2016. Just two seasons of full time competition on the MotoGP grid later and the RC16 was part of the 2018 Valencia Grand Prix podium celebration. Included in the very rare sale of this milestone of engineering are a number of other items. 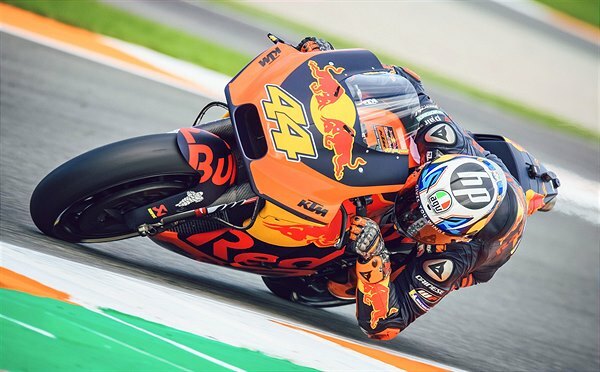 For the sum of 250,000 euros the bike is accompanied by: a full set of Pol Espargaro’s race gear, a signed Pol Espargaro helmet and the chance to become a member of the Red Bull KTM Factory Team for the weekend with a paddock tour, pitbox tour, a meet and greet with Pol and Johann Zarco, a set of Red Bull KTM team wear and Red Bull Energy Station access all weekend at a Grand Prix of your choice. KTM take pride in their motorcycles having the READYTORACE DNA but it doesn't come more unique and refined as the RC16.